It’s a staggering modern-day irony that the most common complication for hospital patients is acquiring an infection during their visit, affecting 1 in 20 patients in the US. It’s a problem estimated to cause millions of infections with 100,000 or so leading to death per year and a whopping $45 billion annually in hospital costs. If this isn’t bad enough, the tragedies from deadly superbugs within healthcare facilities are on the rise and will likely continue as the last lines of antibiotics fail without any new drugs moving fast enough up the pipeline to help. 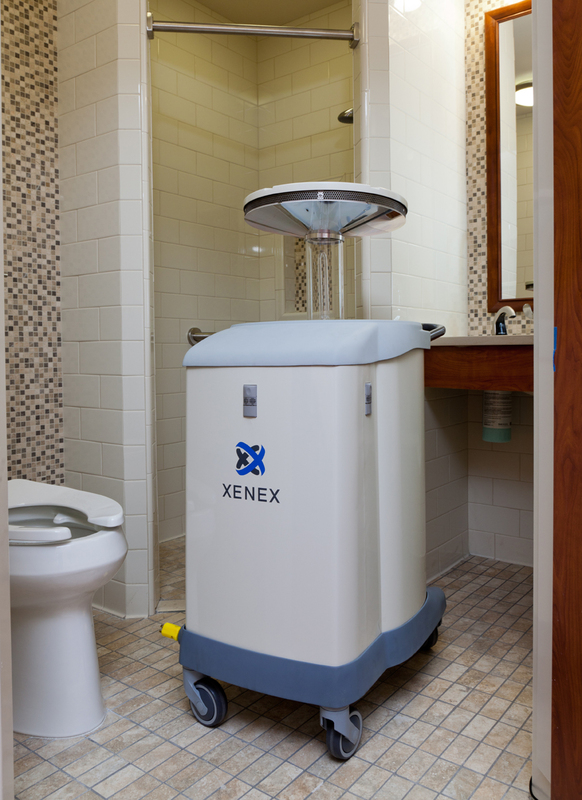 Fortunately, an alternative to medication promises to vastly improve the disinfection of hospital rooms, thanks to a UV light-emitting robot from Xenex Healthcare. 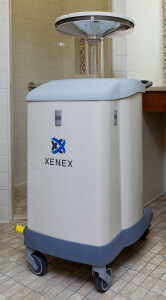 Using a pulsed-xenon UV lamp, the portable bot shoots out 120 flashes of light per minute. Each pulse lasts a thousandth of a second each, and a typical treatment runs for 10 to 20 minutes. The UV rays pass through the outer wall of a bacterium and damage its DNA, making it impossible for it to mutate or reproduce. This stops the pathogen from propagating or being harmful. Additionally, a system of reflectors allows the light to be focused on areas that have high-touch surfaces, such as door handles and light switches. In case someone enters the room when the bot is in operation, a motion detector halts operation to prevent accidental exposure to humans.